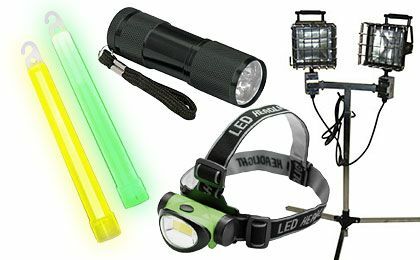 Emergency Power and Lighting Supplies to Fit Every Need & Budget. Don't let a power outage keep you in the dark. When the lights go out we really shine. From flashlights to generators, candle power to portable solar power systems, Fire Supply Depot has the power to keep you and your family comfortable and safe all at an affordable price.